The king took much Delight in seeing the sport at Ball … The Ball was made of the Gum of a Tree that grows in hot Countries, which having Holes made in it distils great white Drops, that soon harden, and being work’d and moulded together turn as black as Pitch. The Balls made thereof tho’ hard and heavy to the Hand did bound and fly as well as our Footballs, there being no need to blow them ..
A lot of people were excited about rubber. Here was a natural product, got by collecting the milky juice which oozed out of cuts in certain trees growing wild in the tropical forests of Central and South America. It was waterproof. It was elastic. It was springy, airtight, and could be moulded into any shape. There was nothing like it. But – and here was rubber’s problem – in cold weather it went as hard as a board, and heat made it soft and sticky. Anything made from rubber could become useless overnight. 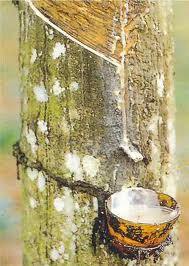 The milky juice from the rubber-tree is called latex. But latex quickly coagulates, so objects had to be made out of rubber on the spot. For centuries Indians in Central and South America had formed it into various shapes for their own use: waterproof cloaks, shoes, balls for their games, and bottles. The best rubber was made by dipping a stick over and over again in latex, and drying each layer in the smoke from a fire. Rubber usually reached Europe or the United States in the shape of a ball or bottle. So one of the first things that Europeans did was to try to find something that rubber would dissolve in, to get it back to its original liquid form. Then it could be reshaped. Charles Macintosh combined rubber and cloth and the ‘macintosh’ was born. At the beginning of the 18th century a new way of lighting houses and streets was found: by coal gas. One of the by-products of burning coal for gas was naphtha, and a Scotsman called Charles Macintosh discovered in 1819 that naphtha was an excellent solvent for rubber. He painted the resulting rubber solution on material to make a waterproof cloth. To get over the problem of stickiness, Macintosh joined two layers of the cloth together, rubber sides inwards like a sandwich. The material was very stiff and heavy, but it did make the first raincoats or ‘ macintoshes’. American manufacturers became very enthusiastic about the possibilities of rubber in the early 1830s. Tens of thousands of pairs of overshoes were being imported into the country, made by Amazon Indians directly on to wooden lasts supplied by the Americans. But the market was also being flooded with goods made in American factories: waterproof coats, rubber life-preservers, wagon covers, hose-piping. These goods were made up from treated rubber: the usual coagulated rubber dissolved in turpentine, a most unsatisfactory solvent. Manufacturers scrambled to get in on the big rubber boom without bothering to find out whether the claims for their products were correct. 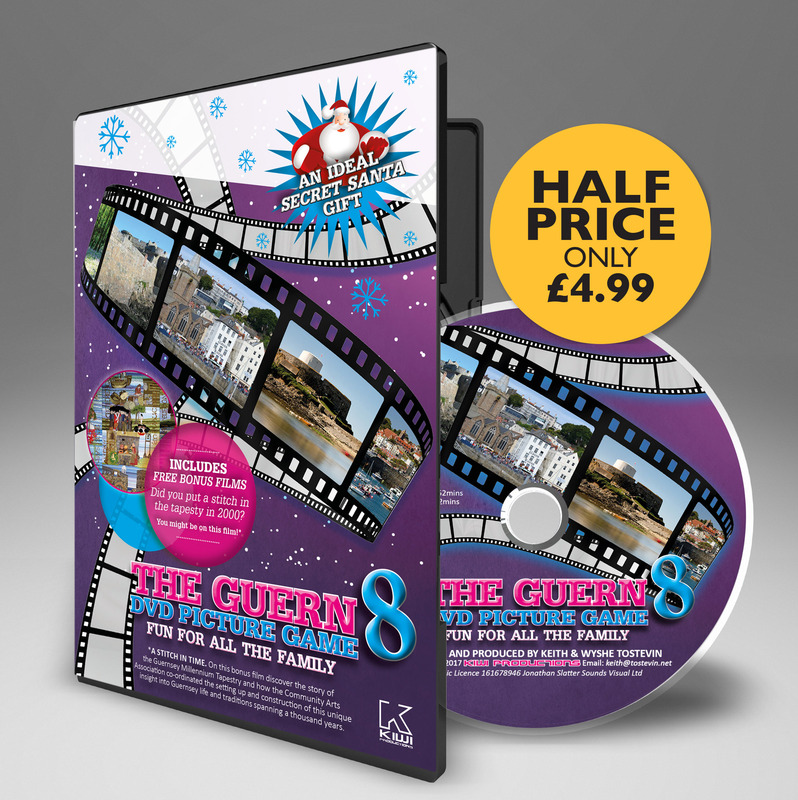 Inevitably the waterproof coats became sticky and smelt horribly, the boots stiffened and cracked, suspenders sagged embarrassingly, hose-pipes perished. The public became sick of rubber, and before long no business man would invest money in it. Charles Goodyear was walking past a shop in New York City when he saw a rubber life-preserver in the window. He had always been fascinated by the problem of saving life at sea, so he went inside to have a better look. It seemed pretty obvious that the life-preserver would be greatly improved by a better valve. Goodyear was thirty-three years old, and out of a job. His father’s most successful hardware business, the invention and sale of farm implements, had suddenly collapsed, leaving all the Goodyears poor. Charles designed a better valve for the life-preserver; he thought the manufacturers would probably pay him well, but when he took it back to the New York shop, the salesman sadly shook his head. “It’s no good inventing a better valve, because the rubber isn’t good enough for the one it has already!” he said, and confided to Goodyear all the difficulties, all the frustrations of this maddening, marvellous material called rubber. His company would pay almost anything for the secret of how to solve rubber’s problems. 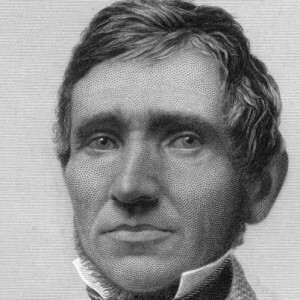 There and then Charles Goodyear became dedicated to rubber. Goodyear had no training, no equipment and usually no money. That was in 1834. For the next 5 years Goodyear experimented. He had no training as a chemist, no equipment and usually no money. His family became poorer, one by one their household goods were pawned, and Goodyear was often in jail for debt. His friends nagged at him to give it all up and get a respectable job as a hardware merchant, which was what he was trained to do. Goodyear was always a rather pale and sickly man. But he became much more ill and tired as month after month he shredded specimens of rubber with his fingers, kneaded them in the solvent, added first one substance, then another, to see what would happen, then nailed the rubber mixtures around the house to watch the effect of heat or cold on them. His patient wife suffered it all. Goodyear wore clothes made of his latest examples of ‘gum-elastic’ to test their strength in everyday conditions. Now and then success would seem to come. “I’ve done it” Goodyear would tell everyone – journalists, friends, investors, and anyone who would listen. He would get a lease on one of the old rubber factories and start turning out a wide range of goods in his wonderful rubber. Things would get better for the Goodyear family. Goodyear made big plans. Then back would come the goods from angry customers, perished and useless as usual. The change Goodyear was hoping to bring about in rubber proved each time to be only temporary. after this, no one took any more notice of Charles Goodyear and his prophecies about rubber. The worst fiasco was the big mailbags scoop. Goodyear got an important contract to make 150 mailbags for the United States government, using his latest ‘acid gas‘ technique. …reported a Boston newspaper. Goodyear left the finished mailbags hanging in the factory by their handles and went away on business. When he got back there they were, sagging, stretched and sticky. The new process was only surface-deep; it could not penetrate right through the rubber. After this, no one took any more notice of Charles Goodyear and his prophecies about rubber. If he had died without succeeding, Charles Goodyear would have been forgotten as a crank. Some time later, Goodyear revisited the factory with some companions and decided to try the effect of heat on a piece of the mailbag rubber mixture on which he had pinned so much faith. Carelessly he dropped it on a hot stove. Instead of melting, as usual, the rubber unexpectedly charred, like leather. Excitedly Goodyear held another piece of the rubber mixture in front of a fire. It charred again, but Goodyear could see a thin edge of rubber between the burn and the original material, which looked and felt exactly right. Goodyear had now done enough work and experimenting to know what he was looking for. He was convinced that here was the answer. But none of the others with him were impressed. It was just another of Goodyear’s claims for his experiments. In fact, Goodyear had made the first piece of vulcanized rubber. He called his discovery ‘metallic gum-elastic‘, but the change he had achieved in raw rubber came to be called ‘vulcanization’ after Vulcan, mythical god of fire. The piece of rubber that fell on the stove was made up of a mixture of rubber, sulphur and white lead. Sulphur turned out to be the essential ingredient , though the white lead helped to speed up the process of change or ‘curing’. Heating was equally essential, but the question now was, how much heat and for how long? Goodyear became more obsessed than ever. He had solved the rubber problem, but no one would take any notice of his discovery. He was determined that people must be made to realize its importanee. Otherwise the knowledge might die with him, and rubber’s marvellous possibilities would go on being unused. Now he had to find out exactly how to achieve the process of vulcanization satisfactorily, every time. Goodyear made his discovery of vulcanization in January 1839. The next 5 years were even worse than the first 5. Goodyear worked more and more feverishly, and the family was so poor he even had to sell his children’s schoolbooks to buy food. He experimented endlessly with ways of heating the rubber mixture. As soon as his wife had finished baking the bread, Goodyear was in the kitchen using the heated oven. He boiled the rubber in saucepans, roasted it directly in the hot ashes of the fire, cooked it by steam from the kettle’s spout. He tried heating for 1 hour, 6, 24. Occasionally he would get a small, well-cured sample, but then he failed to repeat it. Goodyear begged heating space for his experiments from anyone in the village – the blacksmith, the local factory owner. “He used to give me considerable unnecessary trouble … by attending to his samples, and by keeping the furnace door of my fire open from time to time frequently,” complained one of the factory workmen. “He used to be fussing about with those samples,” said another, “and I thought it was silly and boys’ play like, and I used to laugh at it. I used to be sorry for him.” Everyone knew that heating was one thing which ruined rubber and made it sticky. And here was Goodyear trying to convince them that heating was essential. With a little borrowed money, Goodyear managed to build a large brick oven. The rubber charred under the intense heat. So he tried rolling strips of rubber through the top of the furnace. It came out in sections, some blistered, some sticky and uncured, and some just right. Goodyear received a patent for his process in June 1844. He couldn’t afford to get one earlier. But by that time Thomas Hancock in England had seen a sample of Goodyear’s rubber, managed to work out with hundreds of hurried experiments what had been done to it, and had taken out English patents for the process. In America, once the value of vulcanization was established, Goodyear found himself up against a horde of imitators, patent infringers and people who claimed he had not invented vulcanization at all. Once again people raced and fought to make fortunes from rubber. There were enormously expensive law cases about the invention. Certainly several other men – in Germany and Holland, for example – had added sulphur to rubber before Goodyear. But none had any real understanding of what they had done, or of the part heat had to play. Sick, tired Goodyear was buffeted by attacks on his truthfulness, and his patents. But probably he did not really care about making a fortune. His only interest continued to be promoting rubber. He spent his time and money developing new uses for his great love, then selling the methods to manufacturers who proceeded to make millions of dollars from his ideas. Goodyear lavished $30,000 on an elaborate three-room pavilion, ‘Goodyear’s Vulcanite Court‘, at London’s Crystal Palace Exhibition. Everything was made of rubber: walls, furniture, carpets, curtains, pictures, musical instruments, even rubber combs and buttons. Visitors marvelled, and Goodyear won a Grand Council Medal for his ‘unique and ingenious’ designs, but none of it earned him any money. When Goodyear died in 1860 his finances were in a dreadful muddle, and he was probably in debt. Yet the public resented him. He must be a millionaire, they thought. Everything made of rubber seemed to have the name Goodyear on it. In 1889 the audience at a Belfast cycle track roared and laughed when they saw one of the competitors entering the arena on a bicycle with two smallish identical-size wheels. Over the squat bicycle towered the other competitors, balanced proudly on their racing penny-farthings – bicycles with a huge wheel in front and a tiny wheel behind. But the seemingly ludicrous bicycle won easily. It was fitted with pneumatic tyres. A hollow rubber tube inflated with air, under pressure, turned out to give a faster and smoother ride than a solid rubber tyre. Dr John Dunlop, a Belfast veterinary surgeon, had the year before designed a prototype pneumatic tyre from garden hose-pipe for his ten-year-old son’s bicycle. In fact, the pneumatic tyre had been invented 43 years earlier by a young Scotsman, Robert William Thomson. ‘Thomson’s aerial wheels’ were tested very satisfactorily in London’s Hyde Park, but no one was interested and they were forgotten. Since Goodyear’s discovery of vulcanization, rubber had been used for making a range of things: waterproof footwear, clothing, and surgical and engineering appliances. But the development of the bicycle and later the motor-car, with their pneumatic tyres, helped to turn rubber into a giant industry. Even sixty years after Goodyear’s discovery, very little research had been carried out on the chemistry of rubber. Each manufacturer worked by rule of thumb, combining ingredients and curing the rubber by his own secret formula without really knowing why it worked. But motor-car tyres needed to be made of consistent, high-performance rubber. Research into rubber processing now became more and more important to manufacturers, and out of this research plus the needs of expanding industry came an increasing range of new uses for rubber. Rubber was now a vital raw material. Rubber collected in Central and South America from wild trees differed tremendously in quality. In 1876 an Englishman managed to gather seeds from the best rubber-trees he could find, in the highlands of Brazil, and ship them by fast steamer to England. The seeds were grown in special containers at the Kew Botanical Gardens in London, and those that germinated were shipped to Ceylon the next year. From these seeds, and others gathered in the same way, came the enormous rubber plantations of Malaya, Ceylon, Indonesia and the West Indies. Rubber was so vital a raw material that capturing areas of rubber plantation became an important wartime objective. And even before the Second World War, scientists were working hard on developing synthetic rubbers. Goodyear never expected his experiments to end up improving the original latex, but they did. Today, chemists can build in certain properties to each type of synthetic rubber and produce a type of made-to-measure rubber for each particular job. Yet natural, vulcanized rubber is still the best material available for many jobs.